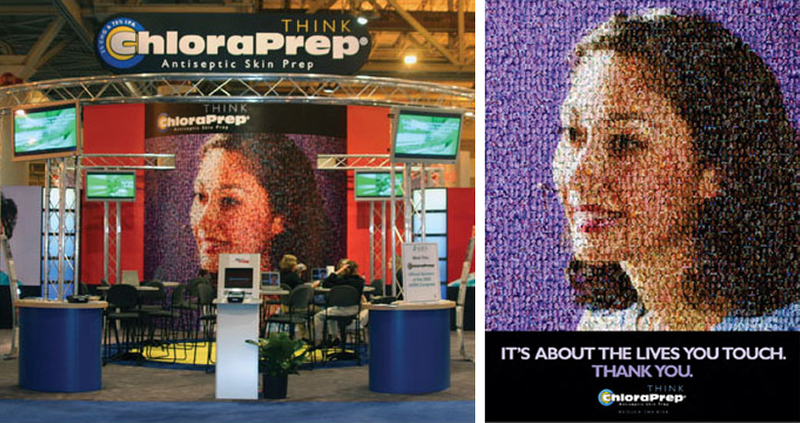 When Chloraprep needed a centerpiece for their booth at the Infection Control Trade Show they turned to Picture Mosaics. This 15′ x 16′ photo mosaic mural was comprised of images of nurses and captured the attention of everyone that passed by the unique focal point. The photo mosaic was also incorporated into smaller posters and adverts to help bring an educational experience to the Chloraprep booth. This entry was posted in Events, Mosaics, Photo Mosaics and tagged advertising, ChloraPrep, event mosaics, photo mosaics, picturemosaics, posters on April 20, 2013 by Robert DeCarolis.